Today’s post is from Robert Wyld (Partner, Johnson Winter & Slattery in Sydney). 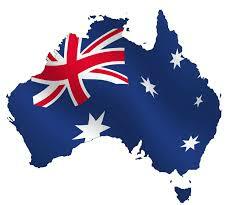 Wyld is the Australia Expert for FCPA Professor. This post covers a range of important developments in Australia and the region in the area of foreign bribery policy, investigations and regulation as of September 1, 2015. From July 2015, the Senate Economics Reference Committee commenced its long-publicised review into Australia’s foreign bribery laws. Submissions have been called from interested parties, to be lodged with the Senate by 24 August 2015. The Committee is to finalise its report by 1 July 2016.
creating an independent Federal anti-corruption commission. most submissions note the lack of a whole-of-government approach to targeting foreign bribery, with the result that there is as perception amongst business (and the community more generally) that prosecutions for illegal commercial conduct (foreign bribery) are rare, too hard and complex so just get on with your business, risky though it may be. In over 15 years, we have seen only two prosecutions for offences under section 70 of the Criminal Code. The Securency case commenced in July 2011 and most details of it are suppressed in Australia. The Lifese foreign bribery prosecution commenced in February 2015. We have seen no corporate criminal liability prosecutions relating to foreign bribery (under sections 12.1 to 12.6 of the Criminal Code). We have seen no civil prosecutions for false or misleading books and records. We have seen ASIC spend almost 6 years pursuing former AWB directors and officers for alleged breaches of their duties arising out of the infamous AWB wheat sales to Iraq in the early 2000s, two agreed to fines and a disqualification period (the former Managing Director and Chief Financial Officer), two had their cases discontinued in late 2013 and 2 face trial listed to commence in October 2015. Why is that? Is the law too difficult to enforce? There have been no substantive changes to the law so that can hardly be the issue. Are cases too hard to prove or is the CDPP seeking too high a threshold to prosecute (certainty of success rather than evidence of a reasonable basis to secure a conviction, as the CDPP Prosecution Policy promotes)? What role should ASIC and the AFP play and how can criminal and civil prosecutions be improved are key areas to review. The national Fraud & Corruption Centre hosted by the AFP draws upon multi-agency skills and experience, yet still Australia sees or hears little about why there is so little enforcement. It is time to reassess the overall management of Australia’s national response to fraud, corruption and foreign bribery and to decide if it is important enough for political leadership to dedicate resources to the process consistent with Australia’s international obligations. We all like to be a Convention signatory but are we prepared to live up to convention obligations? the identity of the natural or legal persons involved. This statement reflected the terms of Article 5 of the OECD Convention. There is however, no law in Australia giving effect to this “obligation”. Australian courts all have statutes or rules that permit the suppression or non-publication of certain facts, information or evidence or the whole or part of a proceeding before the Courts. In June 2014, the Australian Government through Department of Foreign Affairs & Trade (DFAT) secured suppression orders seeking to protect the identity of various Asian political figures from being named as alleged participants in the Securency bribery scandal in circumstances where those individuals were not charged with any offence. The DFAT notice informing the Court of its application for a suppression order stated that its purpose was “to prevent damage to Australia’s international relations that may be caused by the publication of material that may damage the reputation of specified individuals who are not the subject of charges in these proceedings.” Quite why Australia should be concerned to protect the reputation of Asian-based politicians who can well look after their own reputation (and often do by suing for defamation and using national sedition laws to silence critics) is not entirely clear from the judgment (as the key evidence is redacted). In June 2015, the Court revisited its initial orders on the application of the Australian media. After hearing debate, the Court’s judgment discharged the initial suppression orders. While the Court was critical of Wikileaks for publishing the June 2014 orders and the media for inaccurate reporting of the effect of those orders, the Court was not persuaded to maintain the suppression orders. The Court characterised DFAT’s evidence as “unsourced or second-hand hearsay” and was drafted “at an unsatisfactory high level of vagueness or generality.” The Court made it clear that the strong public interest in the public knowing about the Securency case and what did or did not happen had to be balanced with countervailing public interest considerations concerning protecting the administration of justice and Australia’s national security – matters that DFAT bore the onus of establishing, which it failed to do. Article 5 of the OECD Convention is clear – economic interests or the identity of persons is and should not be a relevant consideration. When individuals may be named in any criminal proceeding, it is for the Court and those persons to deal with it – it should not be the role of Government to come in and seek to protect friendly politicians in the name of “national security” (whatever that means on any particular day). It is important to remember that to be truly effective, foreign bribery offences need to target not only those responsible for paying the bribe but also those who either directly or indirectly – whether at first instance or second instance or even more remotely – benefited from the bribe. Seeking to suppress the name of some individual who allegedly ultimately received some benefit from the illegal conduct does not assist foreign Sovereign States in preventing bribery of their public officials The use of suppression orders in circumstances such as these should only be granted in the most exceptional of cases and rarely if ever in foreign bribery cases (given the very high level of public interest in requiring such cases to be public and transparent) so justice is not only done but is seen to be done in the eyes of the public and society generally. There is a significant failing in Australia’s laws in relation to foreign bribery – there are no comparable books and records and internal controls offences in Australia as there is under the US FCPA, as enforced with great success by the US SEC. The FCPA requires issuers (those listed entities or other entities trading in US-listed shares subjected to the FCPA) to make and keep books, records and accounts which, in reasonable detail, accurately and fairly reflect the transactions and dispositions of the entity’s assets. In addition, issuers must devise and maintain a system of internal accounting controls that assures that transactions are executed and assets are accessed only in accordance with management’s authorisation; are periodically reconciled and recorded so that the entity’s financial statements conform to nominated standards. Critically, issuers are strictly liable for the failure of any of their owned or controlled foreign affiliates to meet the books and records and internal control standards. Under the Corporations Act, a corporation is already required to keep written financial records that correctly record and explain its transactions, financial position and performance and which would enable true and fair financial statements to be prepared and must not falsify records or provide false information. Conduct in contravention of these provisions are offences of strict liability with penalties ranging from fines of up to 200 penalty units (or approximately $34,000 and/or 5 years imprisonment per offence). A director is liable to a civil penalty if he or she fails to take all reasonable steps to comply or to secure compliance with the record-keeping provisions. This brings us to BHP Billiton’s hospitality program for the Beijing Olympics in 2000, having been named as a principal sponsor and having secured a contract to mint the medals for those Olympics. BHP Billiton is a dual listed Australian and UK entity and one of the largest mining corporations in the world. An SEC investigation found that BHP Billiton failed to devise and maintain sufficient internal controls over its global hospitality program connected to the company’s sponsorship of the 2008 Summer Olympic Games in Beijing. BHP Billiton invited 176 government officials and employees of state-owned enterprises to attend the Games at the company’s expense, and ultimately paid for 60 such guests as well as some spouses and others who attended along with them. Sponsored guests were primarily from countries in Africa and Asia, and they enjoyed three- and four-day hospitality packages that included event tickets, luxury hotel accommodations, and sightseeing excursions valued at $12,000 to $16,000 per package. “BHP Billiton footed the bill for foreign government officials to attend the Olympics while they were in a position to help the company with its business or regulatory endeavours,” said Andrew Ceresney, Director of the SEC’s Division of Enforcement. “BHP Billiton recognized that inviting government officials to the Olympics created a heightened risk of violating anti-corruption laws, yet the company failed to implement sufficient internal controls to address that heightened risk. What is the response from Australia – little to non-existent save for suggestion in the media (The Sydney Morning Herald 9 August 2015) that the AFP was still investigating BHP Billiton in relation to the Beijing Olympics activities. Certainly there is no suggestion in the media or from ASIC that ASIC is investigating BHP Billiton for any allegedly false or misleading books and records offences arising out of the Beijing Olympics case. In all probability, the US and Australian authorities accepted that if BHP Billiton was to be punished, the US authorities would do it as the laws in Australia were in all likelihood seen as inadequate. It is important that a substantial books and records and internal controls offence for foreign bribery must be created and the penalties must be as severe as the underlying primary foreign bribery offence (in section 70.2 of the Criminal Code). Careful consideration should be given to whether these offences are included in the Corporations Act (to be enforced by ASIC) or in the Criminal Code (to be prosecuted by the CDPP) and wherever they exist, they are properly and robustly enforced. Fraud, including corruption (involving an abuse or misuse of public position), is and continues to be an endemic problem for all governments. There is no reason in principle or practice for the focus on foreign bribery to be at the cost of not addressing national, domestic corruption, however uncomfortable that might be to national politicians and public officials. There are certain key views about fraud in and affecting the Commonwealth government that have recently been reviewed (Australian Institute of Criminology, Fraud Against the Commonwealth 2010-2013, Canberra, July 2015). Over the 3 years between 2010 and 2013, there were at least 265,866 incidents of suspected fraud reported by Commonwealth entities. Each year, substantially greater numbers of external fraud incidents were detected than suspected internal fraud incidents. Fraud involving financial benefits was the most frequently reported category of external fraud. Over the 3 years, the number of fraud-related corruption increased substantially from 37 incidents in 2010-2011 to 163 in 2012-2013. While the cost of this fraud is hard to quantify and figures may vary, a conservative estimate is approximately $530m over 3 years, with increases from $119m in 2010-2011 to $204m in 2011-2012 to $207m in 2012-2013. Over the 3 years, external fraud accounted for $521m while internal fraud amounted to $9.1m or 1.7% of the total reported fraud losses. the relationship between corruption and collusion between external actors and those public servants working within government. The Resources Management Guide No 201 Preventing, Detecting and Dealing with Fraud, reflecting the 2011 Commonwealth Fraud Control Guidelines, require Commonwealth entities to investigate routine or minor instances of fraud. More serious instances are usually referred to the AFP. Who investigates Government fraud at the Commonwealth level? In the first instance, the relevant entity conducts its own investigation. If the incident is more serious, the AFP is usually called in pursuant to a referral and if charges arise, they are conducted by the CDPP. More broadly, the Commonwealth Integrity Commissioner, supported by the Australian Commission for Law Enforcement Integrity, is responsible for preventing, detecting and investigating serious and systemic corruption issues in a limited number of prescribed Australian Government law enforcement agencies. The Criminal Code contains extensive provisions dealing with offences involving Commonwealth public officials which are separate from the foreign bribery offence. Nevertheless, foreign bribery and corruption (involving public officials and private commercial interests) are but one shade of fraud in a general sense as the public invariably perceive it. To have proactive anti-corruption commissions at the State level, but nothing at the Commonwealth level is, to say the least, very puzzling. The public is rightly sceptical of politicians who are the first to cast accusations at opponents for impropriety, yet then duck and weave when anyone suggests a truly independent body be created to review allegations of improper or illegal conduct. The creation of such a body can only improve the public’s perception of politicians and the political process which ought to place trust, integrity and ethical conduct at the forefront of how our community leaders behave. In August 2015, Ernst & Young published their 2015 report on Managing fraud, bribery and corruption risks in the mining and metals industry. In the extractive industries, Ernst & Young see two leading developments – an increasing globalisation with multinationals operating across the globe with increasing risk profiles and second, global anti-corruption enforcement on the rise. These developments are not exclusive to extractive industries. Based on figures from TRACE International, extractive industries accounted for the highest number of fraud, bribery and corruption enforcement actions for any given industry. facilitation payments remain the norm for many corporations in high risk countries and properly complying with strict recording obligations is patchy. In August 2015, the New South Wales Government announced its response to the independent review of the function and powers of the NSW Independent Commission Against Corruption (ICAC). This review was prompted by ICAC’s ultimately unsuccessful and aborted investigation into the conduct of a serving senior Crown Prosecutor and rulings by the High Court of Australia (see Independent Commission Against Corruption v Cunneen  HCA 14 where the Court held that ICAC could not investigate cases in which a private citizen adversely affected the functions of an honest public official) that the investigation was beyond ICAC’s powers. In the interim, the NSW Government had legislated to validate all of ICAC’s then existing findings and investigations. The Organised Crime and Anti-corruption Legislation Bill is part of the New Zealand Government’s All of Government Response programme to combat serious crime. The Bill, introduced to Parliament in June 2014, gives law enforcement agencies in New Zealand the power to deal with organised crime and corruption. The Law and Order Committee reported the Bill back to the Parliament on 4 May 2015 and it is currently awaiting Committee of the whole House stage. increasing penalties for bribery and corruption in the private sector to bring them into line with public sector bribery offences.